Business and individual customers already know how easy it is to track their parcels with TNT’s tracking number feature. Tracking gives TNT users extra peace of mind and is an effective way to keep tabs on important items or documents. TNT offers tracking services on deliveries to destinations all over the world as well as in the UK and Europe. Like any good system, TNT tracking has been designed to take every consideration into account. Want to see if a parcel has been delivered? Customers can simply enter the exclusive tracking number that can be found on receipts and online confirmations and correspondence. This unique number is the key to TNT tracking services and allows users to see when their parcel has been processed for delivery, when it is in transit and when it is safely delivered to the recipient. Tracking with TNT is affordable and easy to set up. Customers have a number of options and can choose those that best fit their needs. Those posting packages within the UK can follow the progress of their order online by entering the 8-digit consignment number that they have been allocated. They will then be able to see if their item has been delivered and who signed for it at the delivery address. Customers in the US can send large or small orders to any destination, either at home or overseas and again, the track and trace service acts as an extra layer of security. International parcels can also be tracked using the International Track and Trace service from TNT. Tracking numbers for international orders have 9 digits and can be found on all paperwork, online communications, and receipts. Once users enter their exclusive tracking number they are able to simply click on the option they require to receive detailed tracking information. TNT aims to deliver parcels, document or packages at a specified date and time to locations throughout the US, Europe and further afield. 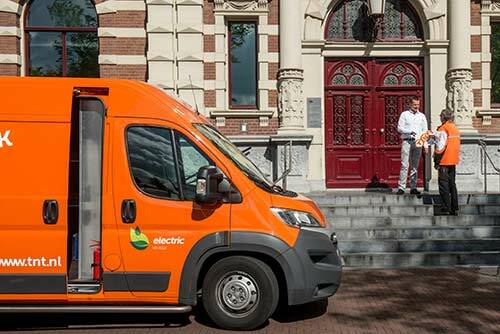 The company was originally founded in the Netherlands in 1996 but can trace its services back to 1946 as Thomas Nationwide Transport in Australia and as Statenpost in the Netherlands since 1752. Its many years of experience in the freight transport and mail delivery sector has given TNT a vast wealth of knowledge that allows it to tailor its modern services to the needs of clients from a wide range of backgrounds. Thanks to services like the allocation of the tracking number, careers & jobs with TNT are considered among the most interesting in the courier and delivery business. TNT picks up packages at pre-arranged times and aims to deliver in as short a time as possible. Tracking numbers are allocated at the point of order and customers can then use them to ascertain the progress of their mail. This service is highly attractive to the company’s many commercial and business clients who need a tracking service they can trust, in order to give their own customers a more tailored delivery service. 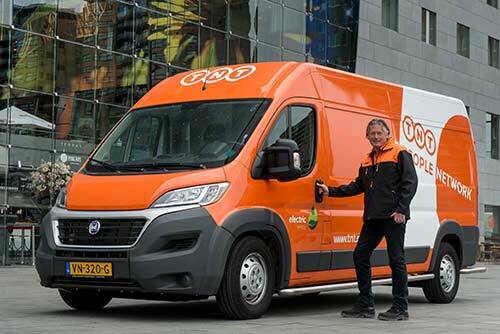 The company recently rebranded as ‘TNT the People’s Network’ and this new image aptly defines its standing as one of the world’s largest and most accessible delivery networks. Anyone can use TNT services and it is particularly useful for offices, banks, manufacturers, hospitals and educational facilities who have a high volume of post or packages to be delivered on a daily or weekly basis. However, the company is just as willing to deliver small or one-off orders and is able to tailor its service to suit clients with specific needs. The new brand name also reflects the committed approach taken TNT’s own extensive global network of skilled professionals who take a more personal approach when dealing with clients. TNT is proud of its dedication to its customers whether they are large corporations or private individuals. It aims to offer services that are affordable, transparent, efficient and reliable and to offer tracking as standard across its product range. The company employs over 58,000 people in over 60 countries and delivers approximately 1 million items to global locations on a daily basis. It has its own airfreight fleet and its 54 carriers make over 700 trips every week to destinations all over the world. Those wishing to ship parcels and packages with TNT just need to follow 5 simple steps to complete the shipment order process. TNT’s track and trace delivery service is available in more than 200 countries all over the world. Clients can choose exactly where they would like TNT to pick up the order from and specify the delivery address. As well as pick-ups from private or commercial premises, TNT is able to import shipments from overseas. Customers can find handy information about customs regulations and about how to import and ship goods on the company’s web page. All goods to be shipped with TNT are charged according to the amount of space they take up as opposed to how much they weigh. The correct packaging is essential and allows clients to find an affordable solution that can be altered to meet their needs. For example, unusually shaped packages or large items can be accommodated thanks to the attractive pricing scale. Standard weight restrictions apply to certain destinations but generous allowances mean that most items can be safely shipped, tracked and delivered. Depending on the chosen location and the type of goods to be shipped, TNT offers a range of appropriate services with a choice of delivery times. Clients can then just select the service they prefer. Senders then arrange a pick-up time using the convenient time slot format. This ensures that drivers don’t come to pick up orders when the sender is not available. TNT shipments can be paid for safely and securely online using industry-approved payment encryption software. This online billing serves to streamline the entire administrative process and savings are passed on to customers. Once the package or shipment is on its way it can be easily tracked using the real-time tracking system. Prospective customers should note that packaging materials such as self-seal plastic satchels, bottle packaging or cardboard cartons are all available from TNT. The company’s packaging range is all in the recognizable orange and white, complete with the TNT logo. Once your intended recipient has signed for the package your order is complete. TNT’s Track and Trace service means that no matter where you’re sending goods to, you can count on a safe and reliable service that is incredibly easy to set up. The exclusive Track and Trace service used by TNT has been designed to make things as easy as possible for the company’s millions of satisfied clients. The TNT web page has a handy contact button for clients requiring help and assistance with any aspect of the tracking system. Tracking continues to be refined to meet the needs of customers who demand a flexible and safe service. The tracking number system can be easily accessed from Tracking USA by TNT clients to see where their shipment is, when it has been delivered and who signed for it. As well as being convenient, tracking using TNT’s International Track and Trace option is simple to implement, affordable and extremely reliable. TNT continues to expand its worldwide delivery and tracking services and has hubs all over the world. The company employs almost 60,000 people in administrative and hands-on positions and careers & jobs with TNT are posted regularly.